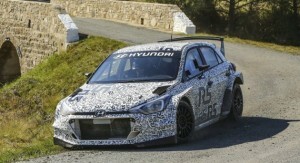 Hyundai i20 R5 rally car enters testing phase! Hyundai Motorsport have been working tirelessly on the development of the i20 R5 vehicle, and they hit a major milestone this week. The vehicle completed its first ever tarmac test after being put through its paces for 4 days in France. The location of Southern France was chosen because the temperatures there at this time of year meant that ideal testing conditions were in place. Driver Kevin Abbring and the Customer Project engineers were able to make a smooth transition from gravel to tarmac testing. The new vehicle comes with a revised cooling system under the hood, and that was one of the main focus points during the 4 days of testing. The new Hyundai i20 R5 rally car is also fitted with an improved 1.6-liter GDi engine, 32mm restrictor, and 5-speed transmission, all of which meet the FIA’s regulations. This is just the first of the revisions, as Hyundai plan on making many more before the planned homologation of the i20 R5 in the summer. For the first 2 days of testing, the vehicle spent time at the gravel course in Fontjoncouse, with the tarmac set-up delivered via an onsite rebuild. The time on the gravel was used to look at the suspensions made to the chassis and suspension since the last gravel test, which took place last month. With that done, the team where then able to shift to tarmac where they could then test the new suspension settings and larger brakes that are allowed on racing surfaces. It has been a very busy, not to mention productive month for Hyundai Motorsport’s Customer Project. Not only did they complete the 4-day test of the i20 R5, they also sold 2 models of the new car to an Italian race team, and also have interest from other racing teams in various parts of the world. Hyundai Motorsport Customer Project Senior Sales Associate Andrew Johns said that he was delighted with the interest that others were showing with the i20 R5 program, particularly at such an early stage. He sees this interest, as well as the car already being ordered, as a sign of just how hard the Hyundai Motorsport’s Customer Project have been working. He explained that the testing programs will continue all through the summers months, as Hyundai sets out to prove that the i20 R5 is a vehicle than can be used in a variety of different racing environments. Those tests will be held all across Europe, with Johns saying that the end goal is to create the very best vehicle possible once customers start taking delivery. The new Hyundai i20 R5 will hit a number of different locations during the coming months, so that the vehicle can best be prepared for all the different rally championship conditions it will face once it starts racing in different parts of the world. 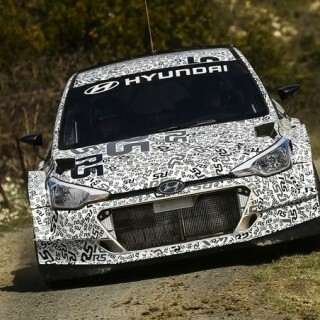 We will do put best to keep you up to date with latest news and all developments as they happen with the i20 R5.